Some call him a typecast, others call him God’s gift to this world. I just call him Will Smith, and there isn’t a movie of his that I won’t watch. Be that as it may, this time he was participating in an M. Night. Shyamalan film. Say what you will about M. Night, but I generally like his craft a lot more than your typical critic. The same goes for After Earth. There were definitely some things that I liked (not loved) about it, but I’m absolutely fine with never seeing it again. Ok, in the distant future, Earth has been abandoned due to some…ecological disaster. In other words, we destroyed it. Now, there are these blind monsters out to kill humans exclusively through the use of smelling their fear. Will Smith’s character, Cypher has gained the ability to eliminate his fear, and because of this useful technique, he was nominated for role as General, teaching others his technique. One day, his son Kitai (Jaden Smith) and he fly off to another planet so Kitai can get a feel of how it’s really like out there. Well, their ship crashes on Earth, and they only have a limited time to get to a distress beacon several miles away. Cypher cannot join him because both of his legs are unfortunately broken. If Kitai cannot make it to the tail end of the ship, they will surely die. Let’s be real, we would rather have the main roles switched. We’d rather have dinky Jaden sitting behind the computer screen with the broken legs and have the main attraction, Will Smith, lead the role. What does that do? Well, that removes the coming-of-age theme, and it integrates more of Will’s potential. The movie could have been a really great action-packed fantasy with Will Smith, but no. Instead, what we have is a theme-heavy film. Themes like green-friendly eco-activist warnings, father/son bonding, fish out-of-water, coming-of-age…the list goes on, folks. I get it, Will, I do. You love your son, and you just want him to lead the silver screen and give him good themed films to practice with. Honestly, as far as the life of child actors go, you are probably providing the best for your son, but the boy isn’t that great of an actor or as fun to watch as you are. I mean, no one wants to see you sit in the sidelines with broken legs, just talking. You did fantastic with what you had, but you honestly didn’t have much. You need to start working on films that reflect who you are again, not who Jaden is. What was with that terrible accent that everyone had but no one could perfect? Literally everyone in the future apparently had these southern-type accents and they all sounded horrific and made the movie that much worse. I mean, come on, Jaden already had a heavy workload on his shoulders, don’t force that accent on him. I don’t understand why people couldn’t just have their own accents and be happy with that. As far as M. Night. 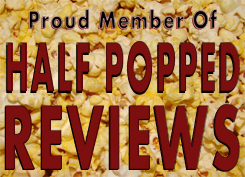 goes, this film really wasn’t that horrible, but I don’t critique a movie based solely on its director. The visual effects were sometimes good, sometimes they weren’t so good. There was a lot of hit and miss in this film, but I think the major problem was the story and the distinction on who was going to be the main star of the film. 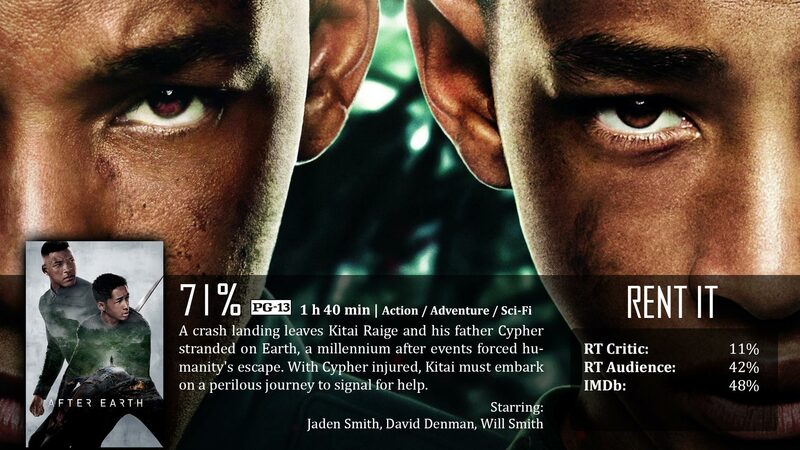 After Earth could have been so much better if Will Smith could stop putting his son before him in movie decisions. I miss the fresh prince killing it in film. You shouldn’t hate it, but if you do: I won’t consider you a dumb person. It’s not great, but I enjoyed a nice deal of it. Good review Dave.